Fill cocktail shaker with crushed ice. Pour both vodkas over the ice. Place lid on shaker, hold tightly, and shake cocktail. Pour into chilled martini glasses. 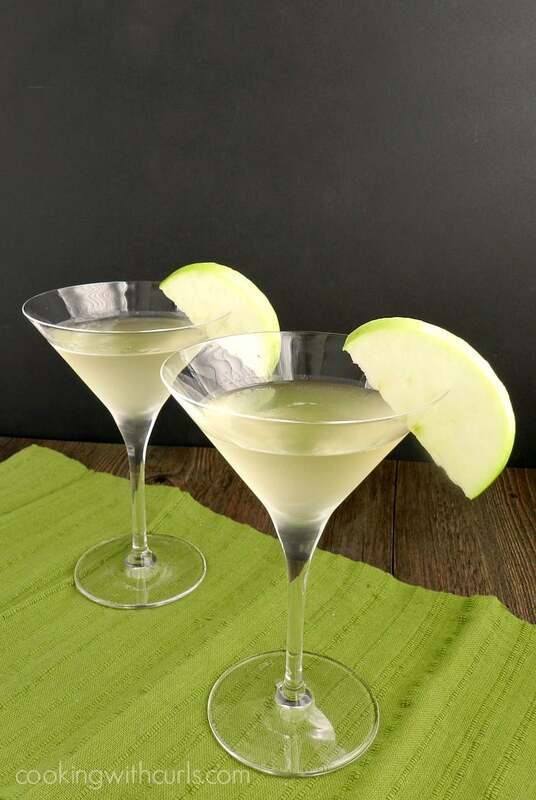 Serve with thinly sliced apple wedges as a garnish. I chose the Pearl Vodka because it is available nationwide. I did not want to create an awesome drink, only to have everyone tell me that they cannot purchase that brand where they live…that is no fun!!! No one can ever say that I do not know how to throw a party, because I also made cupcakes! 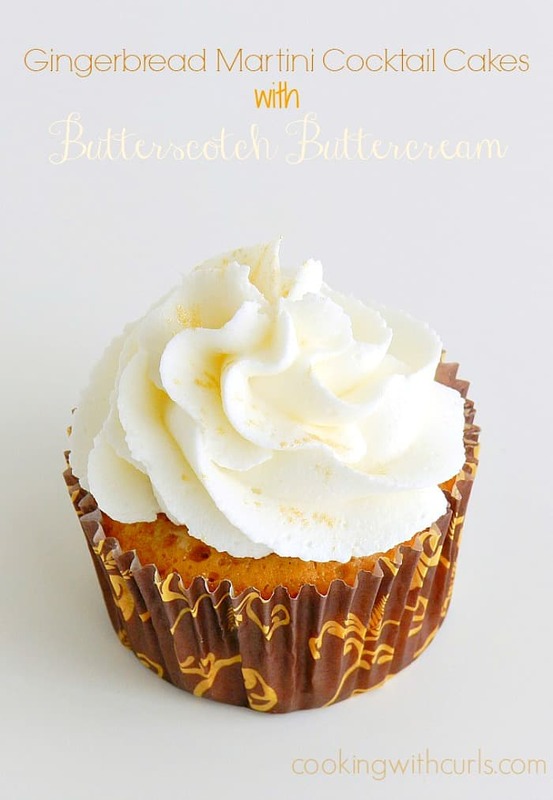 You don’t want to miss the recipe for the Gingerbread Martini Cupcakes with Butterscotch Buttercream that I used in the giveaway photo! So yummy! 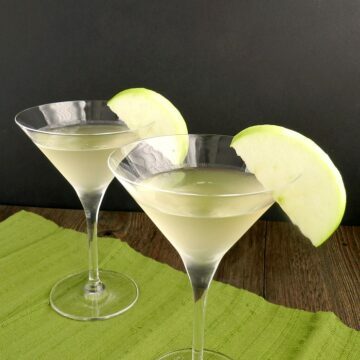 This Caramel Apple Martini starts out with a crisp, sweet apple flavor then it finishes off with a smooth caramel flavor! To chill your glasses, fill with ice cubes and water while mixing your drinks. Pour out the ice water, and fill with your cocktail. This recipe is quite easy to multiply to meet your party needs. Oh yeah!! Now that should make for some happy holidays! You are hilarious! 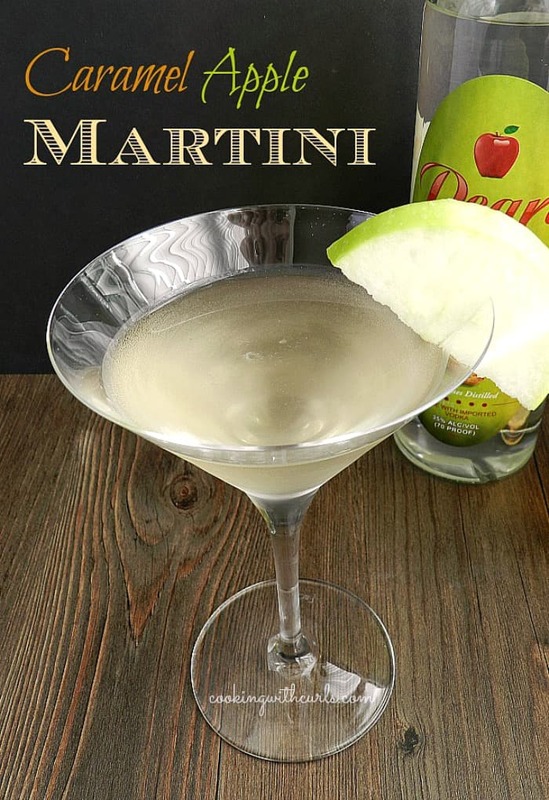 I am not much a drinker…but I DO love a great martini (and wine)! You’re creative with your beverages. I am going to learn from you! (Wish I could have a “beverage” party in my neighborhood…but they are all (awesome) Mormons…everyone. This wouldn’t fly too well. But with me…it’s flyin! Oh hhhh….martinis do not very good things to me but yum! I love your cocktails…I’m a huge martini fan! On your next stop out to Cali…stop over in Utah and we’ll have martini! Thank you for sharing this at the link party this morning with all of us! Hi Lisa, when did you change your header? I like it! 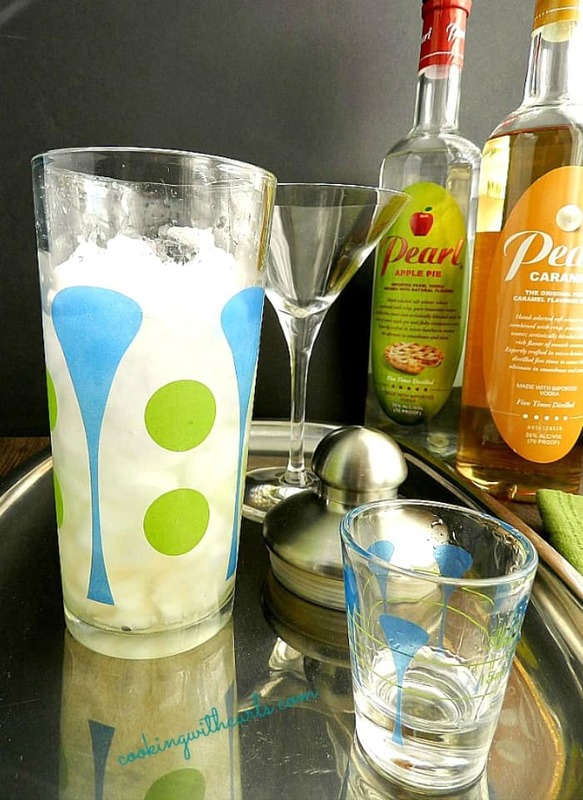 I’m pinning this tasty beverage to my MM board – thanks for sharing with us! Keep warm!! This cocktail looks beautifully tasty. On to check out your martini cupcakes. My kind of recipes! Congrats on Cocktail Contributor! This looks delicious. Thanks for linking to the In and Out of the Kitchen Link Party. Hope to see you next week. There are so many cool flavors of vodka out these days. I really need to try some of them. Love your martini. Thanks for sharing on foodie friday.